Sarah joined the practice in 2008 as practice manager. 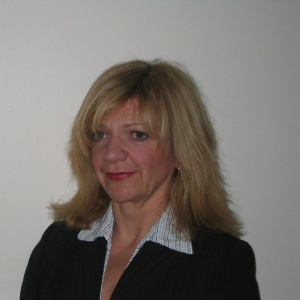 Working initially in London, she qualified as a chartered accountant with Arthur Andersen in 1989 and worked in the financial services sector in senior finance and project management roles, latterly with Lloyds TSB in Cardiff, until 2007, when she decided to change career direction. After a period of self-employment as a management training consultant, she chose to transfer her skills into the role of practice manager. She is in the process of completing an MSc with Swansea University in Healthcare Management, having previously completed an MA in Leadership with the University of Chester. She previously served as a pension trustee in both Standard Chartered plc and a division of Lloyds TSB, has served as Finance Committee Chair on a school governors’ board and was an examination board member of the Finance and Leasing Committee. Outside work, she runs a bereavement support group on a voluntary basis. As you will have heard, there is an outbreak of measles in South Wales, centred on the Swansea area. Since the outbreak occurred in November, the total number of reported cases has now passed 800 and the first death as a result of suspected measles has occurred. It has been suggested that low uptake of the MMR vaccination is as a result of the suggested link of the vaccine to autism. However, an article in The Guardian on 19 April by Sarah Ditum suggests that ‘the Swansea contagion seems more likely to be the result of a separate scare a year earlier in the South Wales Evening Post. Before 1997, uptake of MMR in the distribution area of the Post was 91%, and 87.2% in the rest of Wales. After the Post's campaign, uptake in the distribution area fell to 77.4% (it was 86.8% in the rest of Wales). [This represents] almost a 14% drop where the Post had influence, compared with less than 3% elsewhere. In the dry wording of the BMJ, "the [South West Evening Post] campaign is the most likely explanation"’. The response from Public Health Wales and health boards has been to urge GP practices to respond as quickly as possible to requests for MMR vaccinations. Focus is been given to patients over the age of 12 months, who have either not yet been vaccinated or have not received 2 doses. Advice is that people born before 1970 should have acquired immunity to measles and therefore that practices should focus on vaccinating younger patients. However guidance is updated almost daily as the situation is fast moving. Practices are responding to increased levels of demand from patients, both in the form of telephone queries about vaccination status and in the form of requests for appointments. In addition, practices are being supplied with lists from Child Health in order to follow-up children, who have not received both doses. It is very difficult to accommodate this increased demand within the normal appointment capacity and therefore practices are setting up additional MMR clinics: some outside normal hours; some in hours but with staff working additional hours; and some hosting clinics for both patients and non-patients at weekends. Clinics are also being set up in hospitals at weekends run by health board and practice staff. An immunisation programme started in Swansea schools on 17 April and neighbouring health boards are due to undertake similar programmes. Practices are also coping with the logistics of ordering and managing supplies of the vaccine and a requirement to report regularly to health boards on usage and anticipated usage. Cases of measles have now been diagnosed in every health board area in Wales and clearly pressure will only increase on both primary and secondary care over the coming weeks. Primary Care Quality and Information Service Risk Practice Self Assessment Toolkit for General Practice. Certificate in the Management of Drug Misuse - this course is funded by the Welsh Assembly Government who recognised the need to provide GPs and latterly Practice Nurses and Pharmacists with training and advice in dealing with substance misuse. The training follows the format already developed by the Royal College of General Practitioners for its Certificate in the Management of Drug Misuse, adapted, where necessary, to take account of drug misuse and drug misuse treatment issues specific to Wales, more details. To email with enquiries specific to the Welsh scheme.